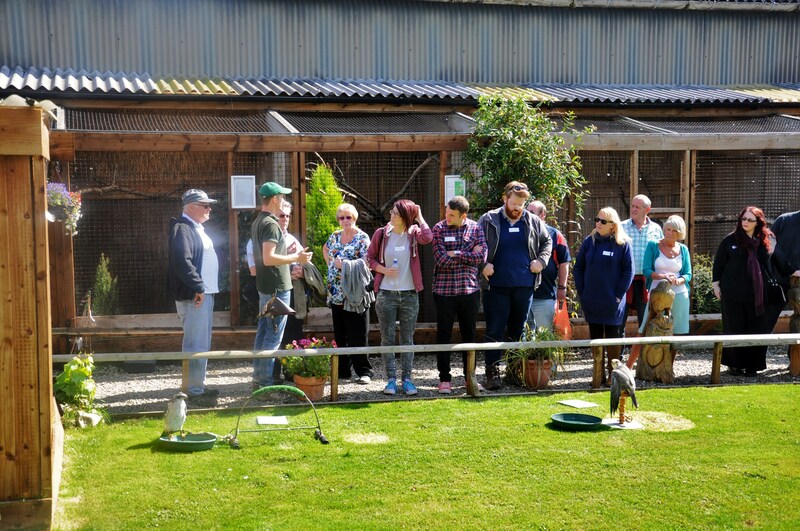 Some of our visitors feel they would like to get much closer to our birds and learn more about them, and this can be achieved through our Half a Day at the Centre experience. 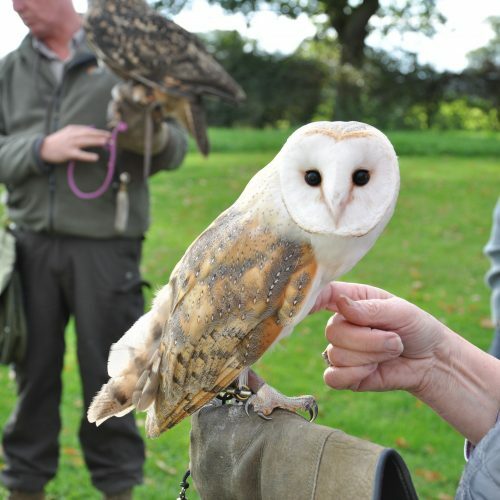 These days are limited to small groups of guests with a member of staff guiding them. 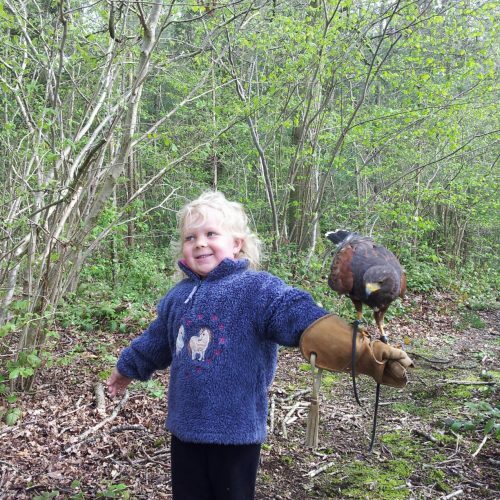 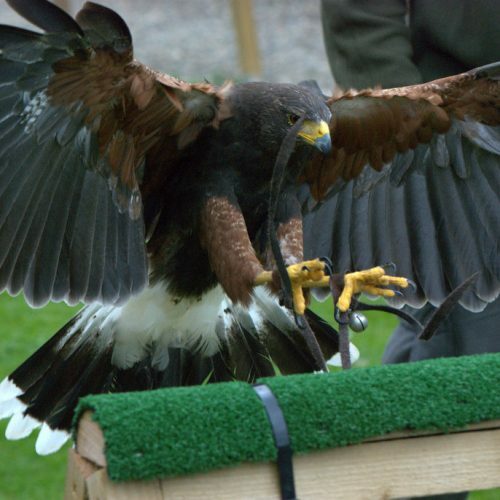 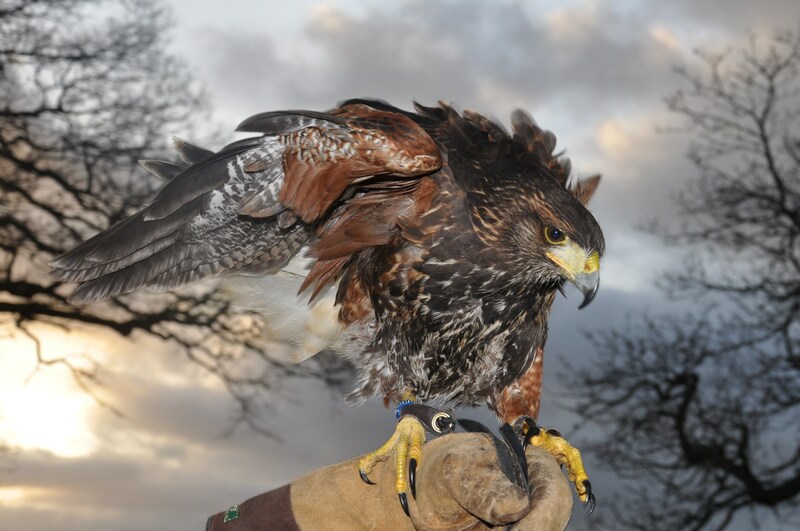 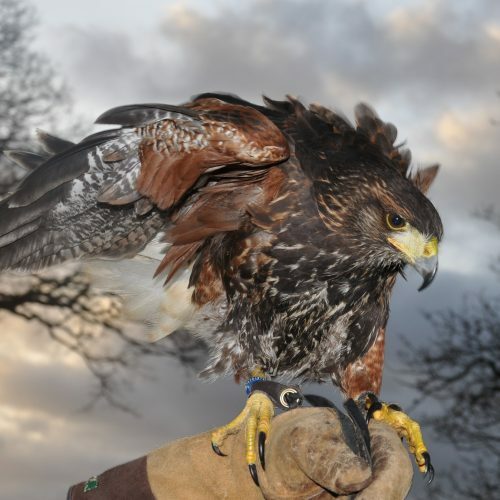 Each guest will have a falconers’ glove and will have many opportunities to handle and fly the Harris Hawk. 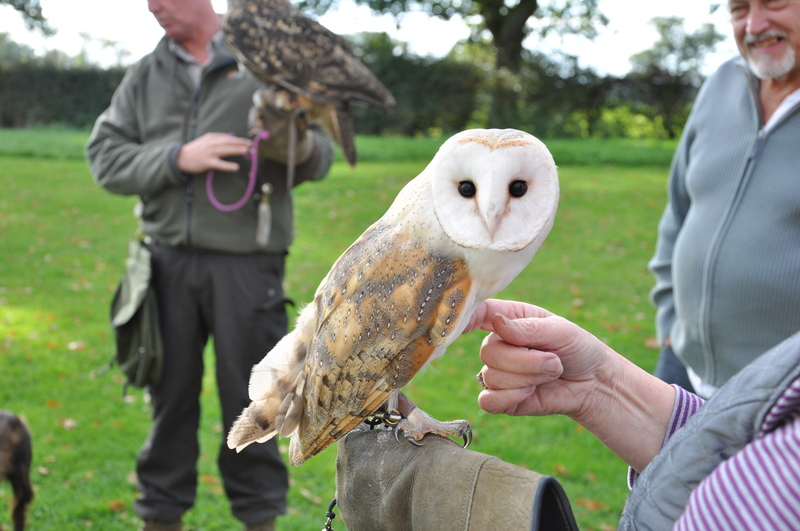 During the session there will also be the opportunity to handle owls and other birds in our care. 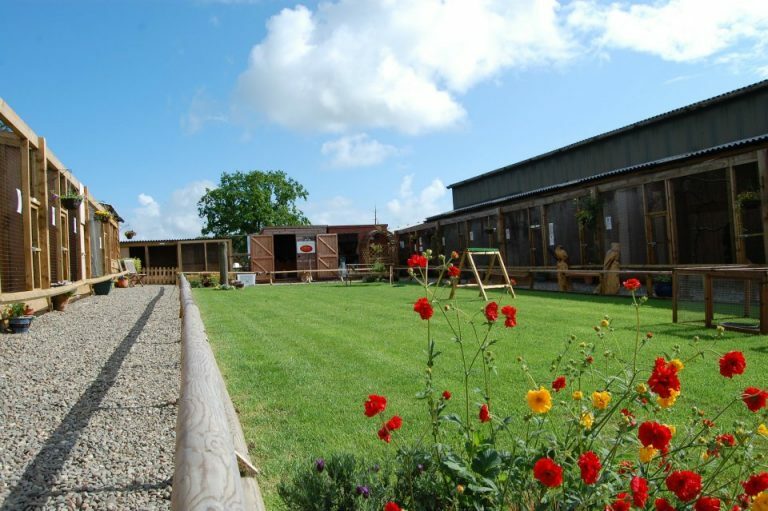 A hot or cold drink is included during the session along with any guidance and equipment as required. 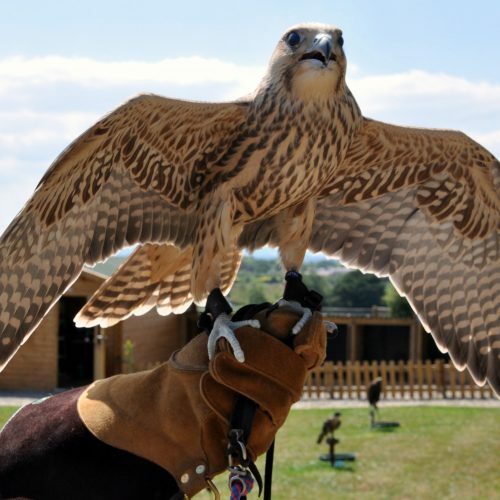 This is not an intensive course to teach guests how to practice falconry or keep birds, but a relaxed and informative way, to learn more about birds of prey and have an intimate insight into the work of Battlefield Falconry Centre. 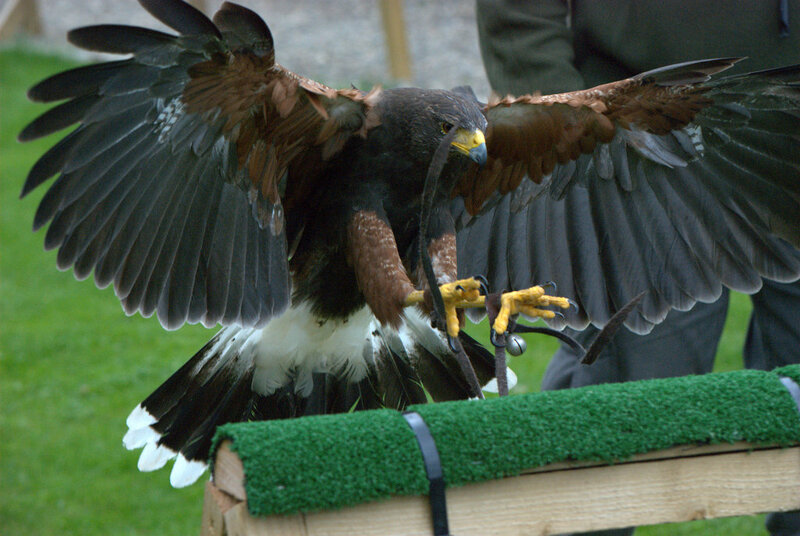 This is a half-day’s activity that is packed with exciting features for the individual to experience. All equipment will be provided. Available 10.00 am – 13.00 pm every day. 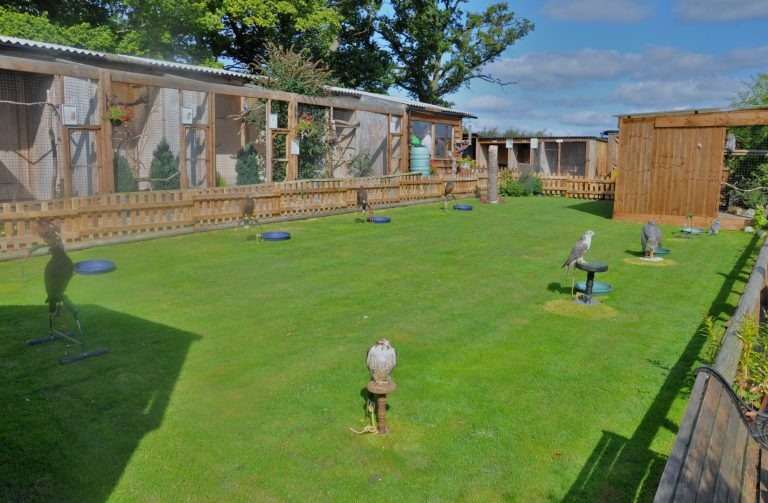 Please contact the Centre for more details.